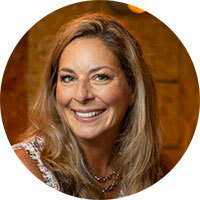 Lynn Hamilton is the Chief Commercial Officer at Talkspace responsible for strategy and enterprise growth across multiple sectors including employers, payors, health delivery systems, universities and local, state and federal agencies. Prior to Talkspace, Lynn was at Magellan Health for nearly seven years. As the Senior Vice President for Magellan Health’s Employer and Federal Government businesses she was responsible for the oversight of existing account relationships, new business development, service delivery, quality and operations. Lynn oversaw the launch of the Federal business for Magellan resulting in several significant contract wins for Military Behavioral Health. Prior to Magellan, she was Vice President at CIGNA Healthcare where she held a variety of leadership roles with increasing responsibility during her 10-year tenure including financial roles and account management and business development oversight. Before CIGNA, she held senior financial roles at MedPartners in the Physician practice management industry. Lynn received her BS in Accounting from Fairfield University and a MBA in Finance and Healthcare from the University of Connecticut. She holds a CPA certificate in the State of Connecticut and began her career at Ernst & Young, LLP.